On Sunday, I co-hosted a baby shower with a new friend and amazing chef. An owner of a local deli, this guy seriously knows how to cook. He planned a delicious menu for us to feed our forty guests all without really using recipes! I was totally inspired although exhausted from the feast and came away determined to maintain my foodie inspiration from the day. I don't think I am quite ready to venture into the non-recipe zone so I decided to find some new food blogs to keep my creative cooking juices flowing. See below for some new resources and make sure to visit their websites for more inspiration. Love & Lemons is written by Jeanine Donofrio from her kitchen in Austin, Texas. Her focus is seasonal produce which I really love since one of my new goals is to eat as local and seasonal as possible (see this post). 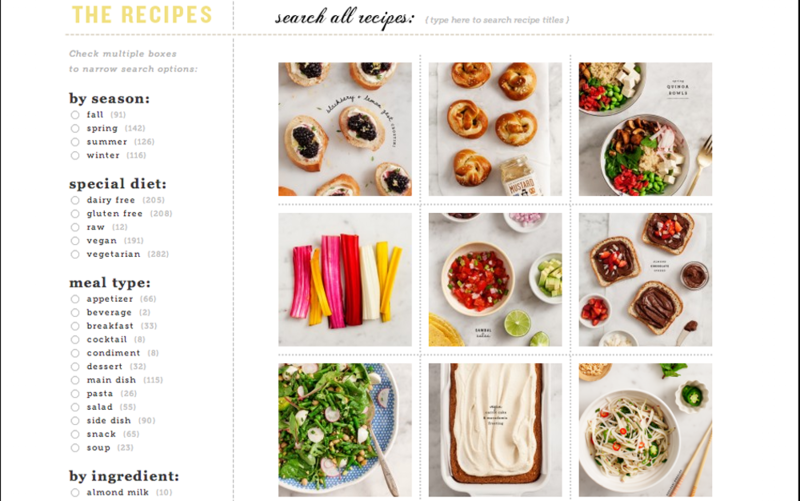 I also really like the way her website is organized with thumbnail images of recipes that you can easily search. The New Potato is brand new to me so I haven't had much time to any in depth exploring. What I like so far is that it is a food blog that deals with both food and the experience of food. Set up as a collection of interviews, the site gives you a sense of how designers, restaurateurs, chefs and foodies view food. They also have a great looking recipe section as well as foodie city guides. Another new discovery is 101 Cookbooks. 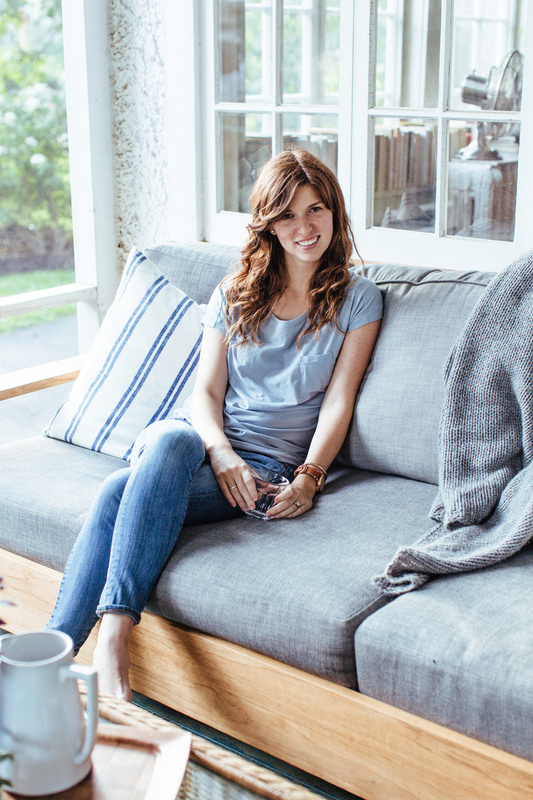 Written by Heidi Swanson, this blog began when Heidi realized she owned over 100 cookbooks and that is was time to stop buying and start cooking. Since its beginning in 2003, the blog has evolved to include Heidi's general musings on cooking, recipes, travels and everyday interest. Lots to love here. Fixer Upper is a new show on HGTV that I stumbled upon on complete TV guide click through accident. It is hosted by Chip and Joanna Gaines, of Magnolia Homes, out of Waco, Texas and it takes houses that are in need of "fixing up" and does just that. It is pretty much the same format as the Property Brothers but has a very different vibe. Chip and Joanna are husband and wife. Chip acts as the realtor and contractor while Joanna is the designer and DIYer. Their personal lives of having four kids, running a business together and renovating their old farmhouse seems to be part of the series' format creating an easy, family oriented approach to the whole flipping houses craze. Although I have only seen two episodes, I like that their is a client and they tackle the whole house (not just a few rooms). Chip and Joanna are enjoyable TV personalities and lets be honest it feeds into my fantasy of fixing up my own farmhouse. I don't share Joanna's aesthetic although I do think her instincts are good in terms of space planning and general layout. I also like seeing what the housing market is like in Waco, a part of the country that is very different from St. Louis. 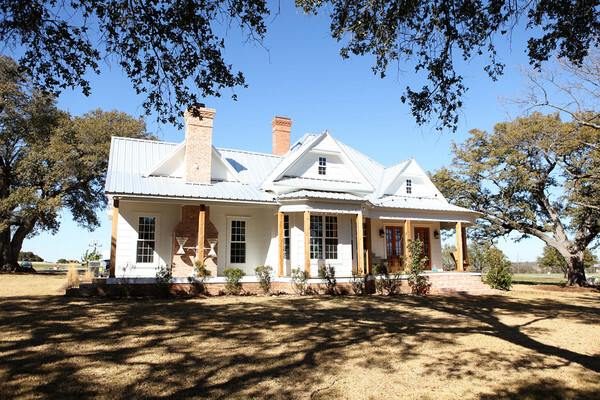 To check out the show tune in to HGTV at 11p/10c or follow Joanna's blog at Magnolia Homes - pictures of the Gaines' farmhouse below. Ok so I am going to go ahead and say this has become the Lukas show - which I am actually fine with because his work is interesting enough to keep me watching. This week the designers are given downtown lofts and Lukas does probably his best work yet. The sculptural elements and his consideration of scale are spot on and the end result is really beautiful. In the entry/dining room, Lukas pairs a long stained black farm table with chestnut leather chairs. The effect is the perfect blend of rustic and modern. The styling of an antique tray with white candles completes the look adding just the right amount of warmth to the space. The long table frames the kitchen which has some really thoughtful design elements. The first being the island detail which has a recessed front panel - a small detail with a big impact. The other two aspects I love about this space are Lukas' treatment of the range hood and the side cabinet wall. The hood is a simple, iron frame that acts as a shelf but its real purpose is to create symmetry on the back wall - counteracting the asymmetry of the cook top - pretty genius. The cabinet wall is actually just two sets of upper cabinets stacked on top of each other which is sort of a wonderfully stupid design trick to create a large pantry space. In the living room, the use of texture is really what stands out to me. 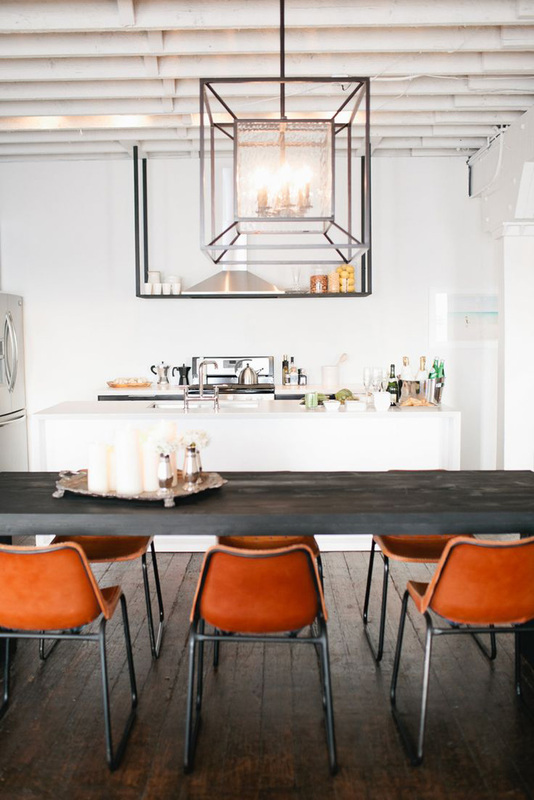 The combination of leather, fabric, metals and natural fibers give the space that modern yet rustic feel that I love. I also am pretty obsessed with the driftwood sconces and the sculptural floor lamp. It pretty clear from the show that Nate Berkus thinks Lukas is the standout as well. He defends his chairs to the other judges and you can just tell by his reaction to the space how much he loves it. In addition, in his video clip he calls Lukas' the "role model" for the other contestants. As far as the other designers go this week, Elaine's space was fine but not very functional. Darren's bedroom had good styling but that was really to Elaine's credit. And Jay and Nina's loft while making a good use of space was sort of generic and cliche. This week there was no neighborhood council and no distinct winner. Each contestant was judged individually and ultimately Darren went home. I think the show's producers did this because they realize the neighborhood council's aren't picking the best designs. I am not sure how they will judge the remaining challenges but I much prefer it when the judges select the winner and losers.